pulpandwire	, Posted in Fin Tech, At February 2, 2016, Comments Off on WHAT is FinTech? LEARN about the peer-to-peer solutions, social technologies, and advanced data analytics that are redefining the financial services industry. 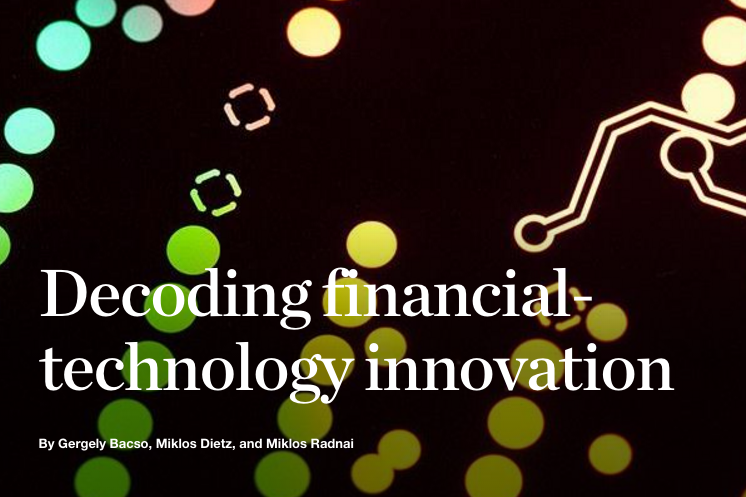 Excerpt below from: Decoding financial-technology innovation. By Gergely Bacso, Miklos Dietz, and Miklos Radnai. “Start-ups are eyeing a wider revenue pool across a growing and broader range of products and services. « WHY is FinTech Important?